Butter by itself is divine. It gives food wonderful color, flavor, and lusciousness that just wouldn’t be there otherwise. When I got married I preferred margarine to butter. My husband couldn’t understand it. He had grown up with butter and thought margarine was disgusting. To my husband’s great delight, I am now a tried and true fan of real butter for all my cooking, baking, and spreading needs. It’s a little harder on the budget of course. But worth every penny. Spreading butter on a thick slice of French bread is already super yummy, but you can ‘fancy it up’ a bit with just a few simple additions. I wrote this recipe as part of a Valentine’s Day ‘Romantic Dinner for Two’. You can see the rest of the menu HERE. 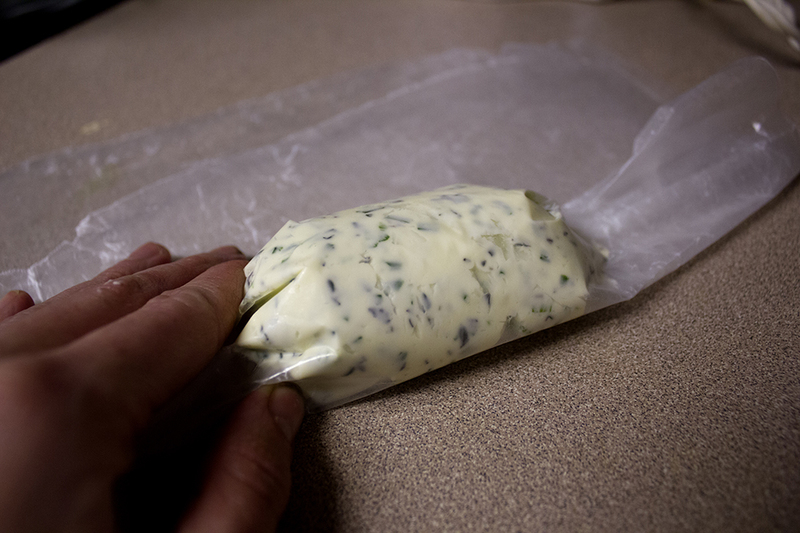 This Thyme & Chive Butter is super easy and you can make it ahead. Just allow a stick of butter to come to room temperature so it’s nice and soft. 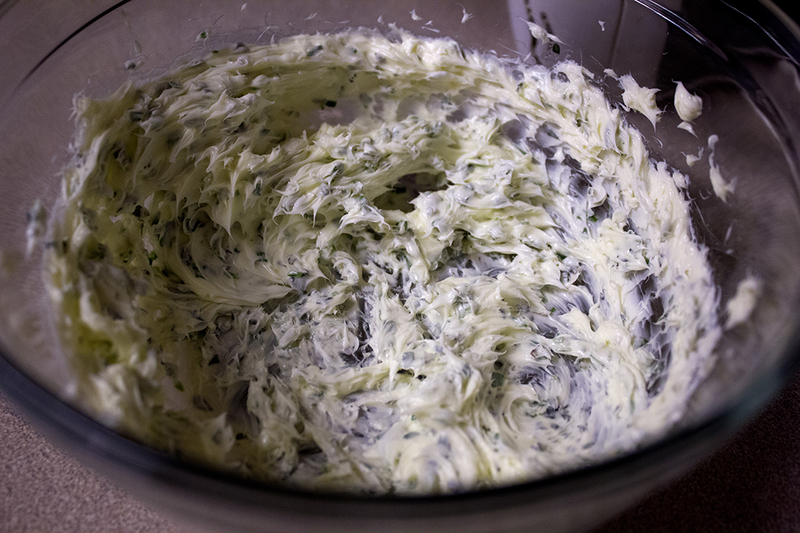 Put it in a medium-sized bowl and whip it with an electric mixer to break up the butter and soften it even more. 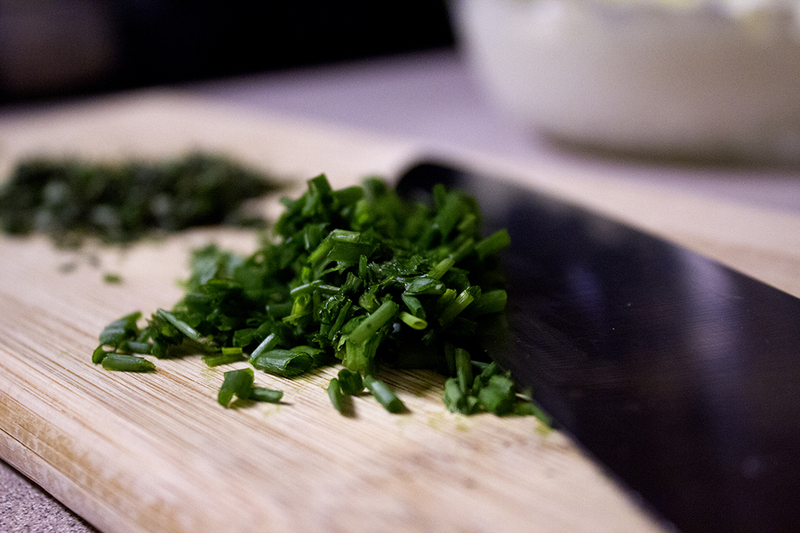 Chop up some chives so you have about 2 TBSP. Then chop up some thyme leaves that you’ve pulled off the stems. 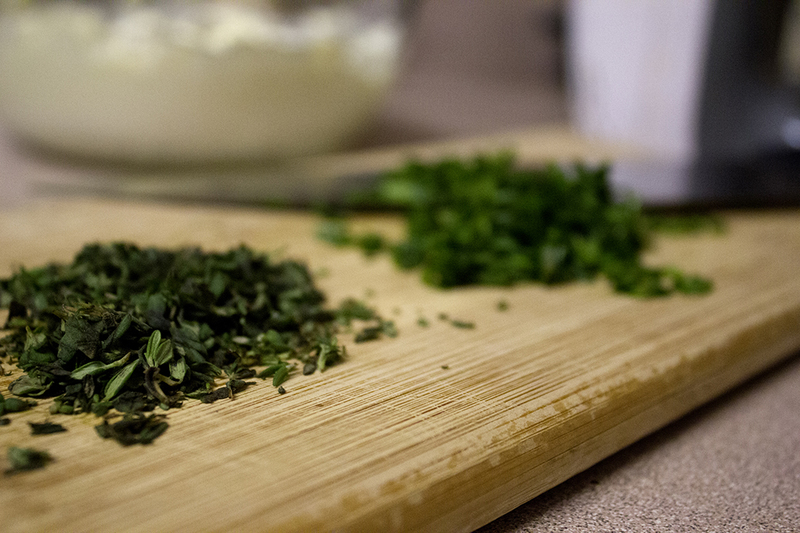 Thyme leaves are already small but chopping them releases their flavor a bit. You need just a tablespoon. 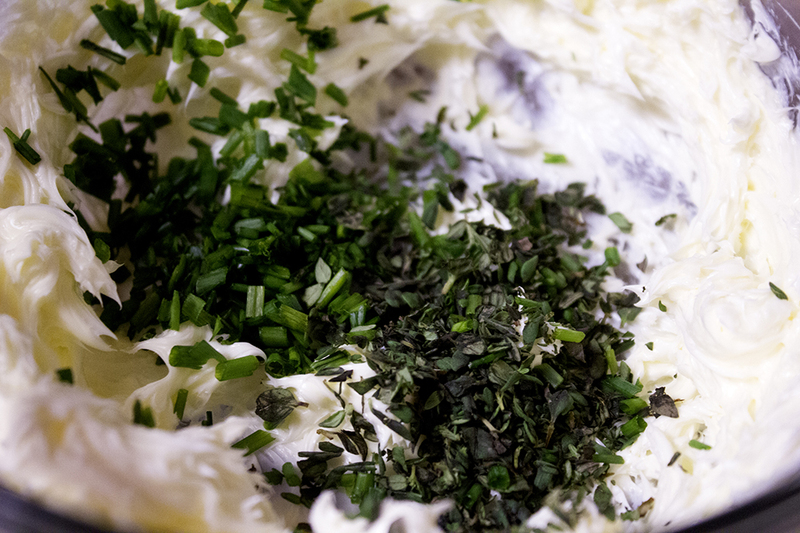 Then just toss all the chopped herbs in with your whipped butter. 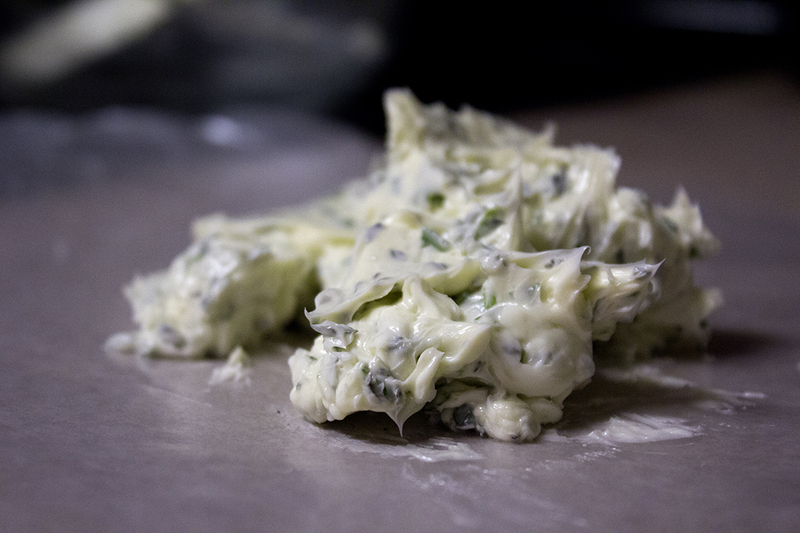 Then mix them in on LOW speed or even just with a spoon until they’re nicely incorporated with the butter. Sprinkle in some salt and a bit of pepper. If you’re using salted butter you might not need to add any salt. 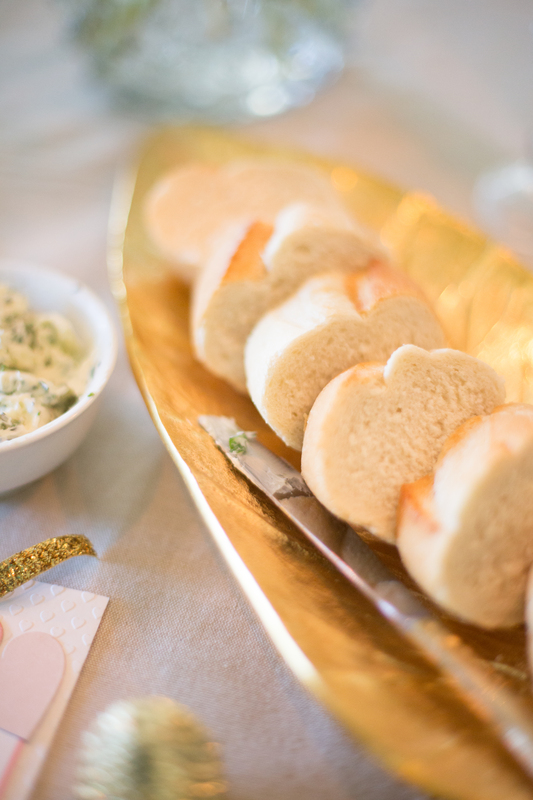 Spread a little on a small piece of bread and do a taste test. Add in salt in SMALL proportions. You can always add more in, but you can’t take it out! Then transfer the mixture to a sheet of parchment or wax paper or plastic wrap. Whatever you prefer or have on hand. 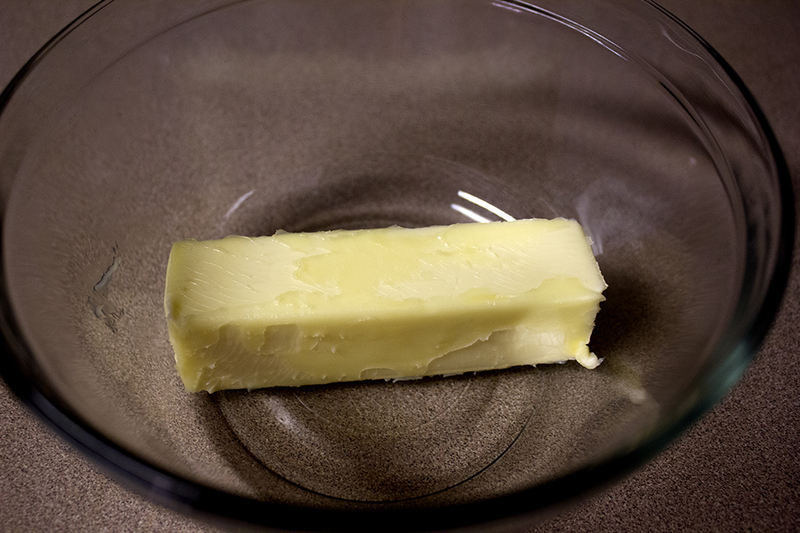 Then fold the paper over the butter mixture and press the butter into a sort of log shape. 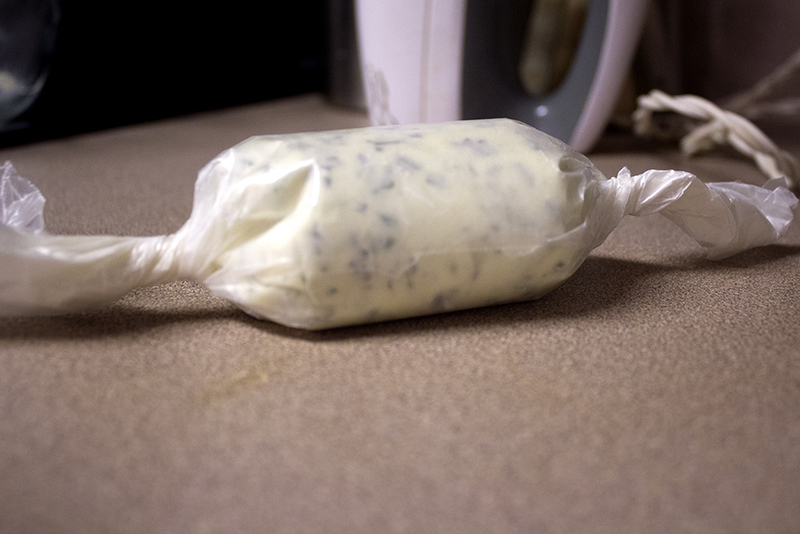 Continue rolling the paper and then twist both ends tightly to seal the butter inside. You can wrap foil around this layer if you think the ends are not sealed tightly enough. If you’re using plastic wrap it should be fine but sometimes parchment or wax paper can come undone a bit. I used wax because that was all I had at the time. It worked just fine and stayed sealed nicely! Pop the butter in the fridge to set for a couple of hours. You can make this up to a week ahead of time! 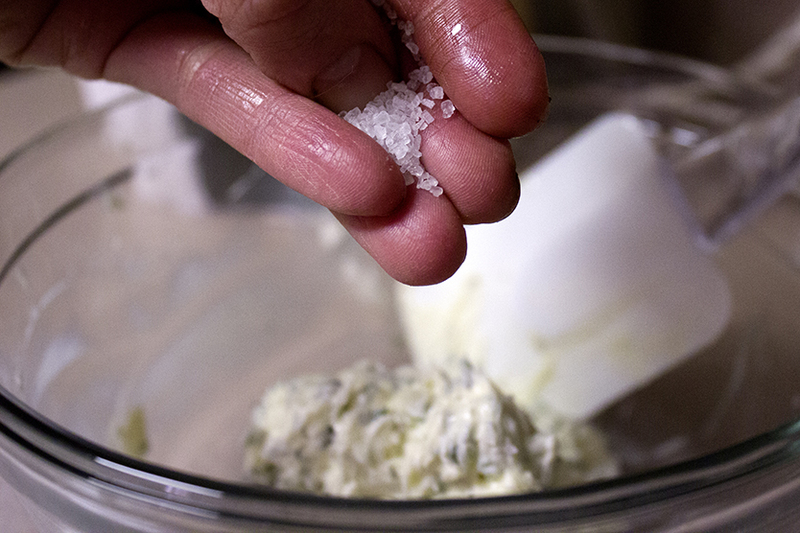 Just take it out of the fridge for an hour or so before serving so it’ll be soft enough to spread! Put it in a pretty serving dish and you’ll impress the socks off of your loved one or guests. Click HERE for the printable recipe or you can read more about the Valentine’s Day menu HERE!